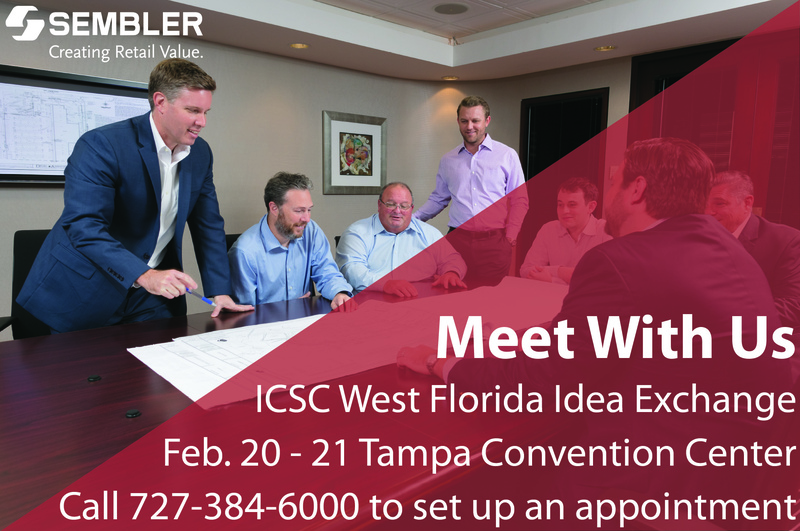 Don’t miss your opportunity to meet and network with our team at the ICSC West Florida Idea Exchange at the Tampa Convention Center this February (20th – 21st). The ICSC West Florida Idea Exchange provides education, networking, and deal-making on a smaller scale than Regional Deal Making events. Gain information about the most current, local industry issues, and meet with our local colleagues in the area.